The 1200mm high Milan heated towel rail is an excellent addition to the Milan range, features a classic timeless design. 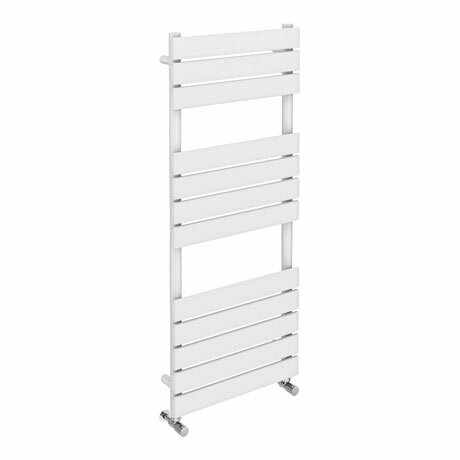 Manufactured from durable steel with a quality white finish, this stylish towel rail provides superb heat output which will gently warm towels and your bathroom or cloakroom. Suitable of use with our range of Electric Heating Elements (not included).